If your dog or cat needs medical attention, bring them to Affordable Pet Care Basse. Our team of Alamo Heights area vets goes above and beyond for your pet. No matter what they need, be it a checkup or surgery, our Alamo Heights area vets are on the job. Pretty soon, they will be able to do even more, with Affordable Pet Care Basse undergoing a transformation that when complete, will provide more for your pet than ever before. We hope you’ll visit us soon, or consider us to care for your furry friend in the future! 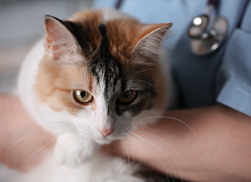 Wellness care for pets: This means we provide annual exams for your pets and check on their overall health. In addition, we administer vaccinations and test them for various parasites and heartworm. This is also a time for you, the owner, to address any questions or concerns you have. Wellness exams are tailored towards your pet’s lifestyle. For instance, senior wellness care is a much more extensive process, with emphasis on different areas. Pet diagnostics: Affordable Pet Care Basse has many diagnostic tools at their disposal to take a better look at abnormalities. These include digital radiology and ultrasound, Idexx reference lab testing, and an in-house lab. We also provide endoscopy, colonoscopy, and rhinoscopy procedures. Internal Pet Medicine: If your pet has any kind of chronic disease or condition, our team is here to help take care of them. This is all a part of the personal treatment experience our Alamo Heights area vets strive to provide to your best friends. Pet surgery: We provide surgical procedures ranging from soft tissue, orthopedic, and elective surgeries. These are done on a needed or recommended basis. Pet dental care: Just as people need dental checkups, pets do, too. Especially because poor dental health can cause heart, liver, and kidney disease, due to the toxins present in tartar. To counteract this, we provide teeth cleanings and checkups, as well as extractions if needed. If you want to bring your dog or cat to Affordable Pet Care Basse, contact us at 210-735-2273 for an appointment.